During a labor management meeting on Friday, Oct. 10, Local 700 met with IDOT management to discuss the impact of the proposed changes to the IDOT snow and ice work rules manual. Representatives from Local 700 and IDOT stewards were successful in negotiating a majority of the proposed changes on behalf of the bargaining unit members. Previous shift times proposed by IDOT were divided as 12 a.m. – 12 p.m. and 12 p.m. – 12 a.m. Shift times are now divided as 6:30 a.m. – 6:30 p.m. and 6:30 p.m. – 6:30 a.m. When a call-out event (major storm) is expected, those employees scheduled on the night shift will be sent home to rest with full pay for their entire shift. 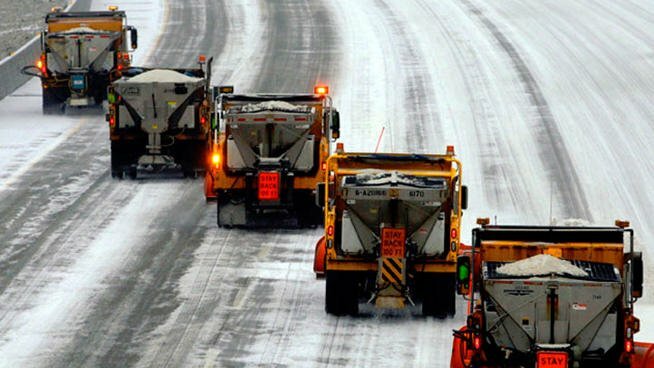 The IDOT snow and ice season began Sunday, Oct. 24 and ends on Sunday, April 17, 2016. Earlier this summer, Local 700 negotiated a new four-year agreement on behalf of nearly 350 IDOT workers. This is one of only three ratified contracts for State of Illinois employees.